Wax and Water Colour Painting. The motivation and creativity has been lacking majorly around here lately due to a heavy work load, but I set myself a challenge to blog at least once a month when I started this. So as June rapidly drawers to an end, here it is! Most people probably remember doing this at school, magic painting, hidden pictures, secret messages, all the same thing under different names. All you need is some plain white candles, paper and water colour paints. We used the really cheap kids water pallet ones. Rather than just doing some random paintings or drawings, I figured we’d turn them into something at the end. 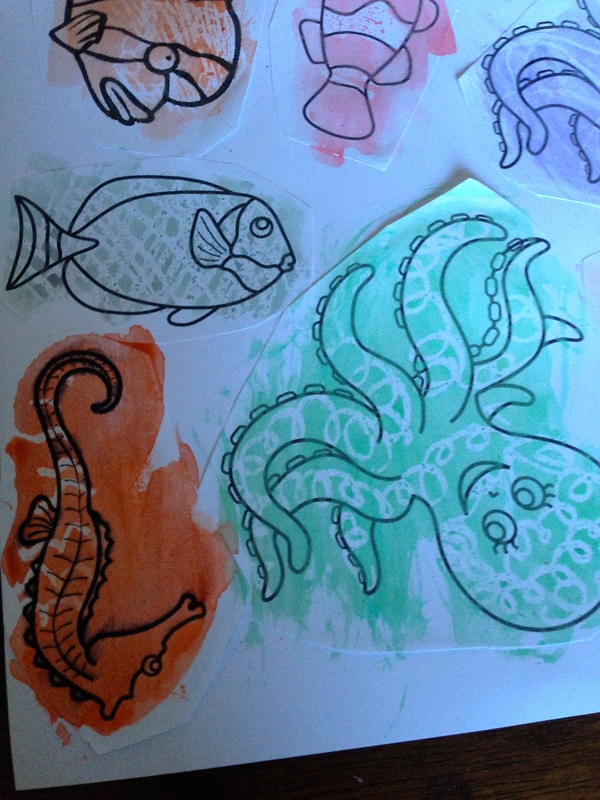 So we printed out some sea animal colouring pages, stuck them to card and got decorating. You really can’t see where you have been with the wax, but I encourage the kids to try to create patterns or shapes as best they could. Once they were finished with the candles, they went over each shape with some water colour paint. As you wash over the whole picture, the paint will not attach to the areas covered in wax, leaving you with an interesting effect. Once dry, I cut out the shapes. 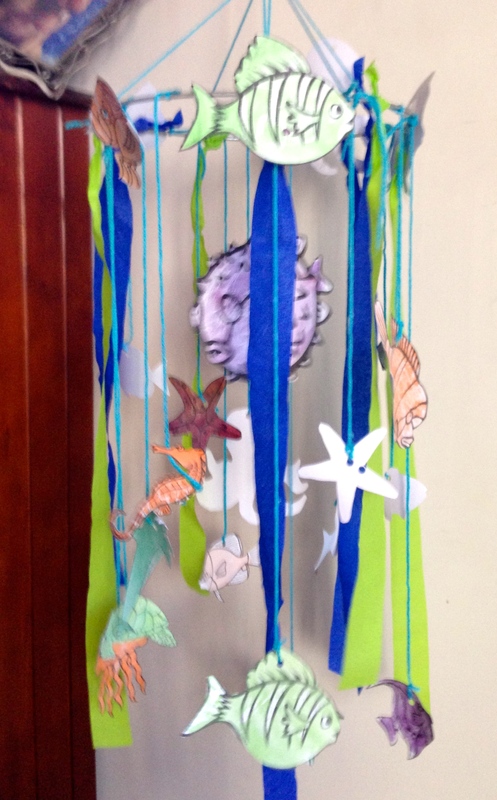 Ms5 helped put holes in them with the punch and we strung them up on a mobile frame with some streamers to make an under water mobile. In hind sight we should have painted both sides of the shapes, but Ms5 is more than happy with it. She’s trying to convince me to put a screw in the ceiling near the fish tank so we can hang it there. lol. Art plays an important role in skill development of child and to start with watercolor paints and wax colors is a great and safe idea. 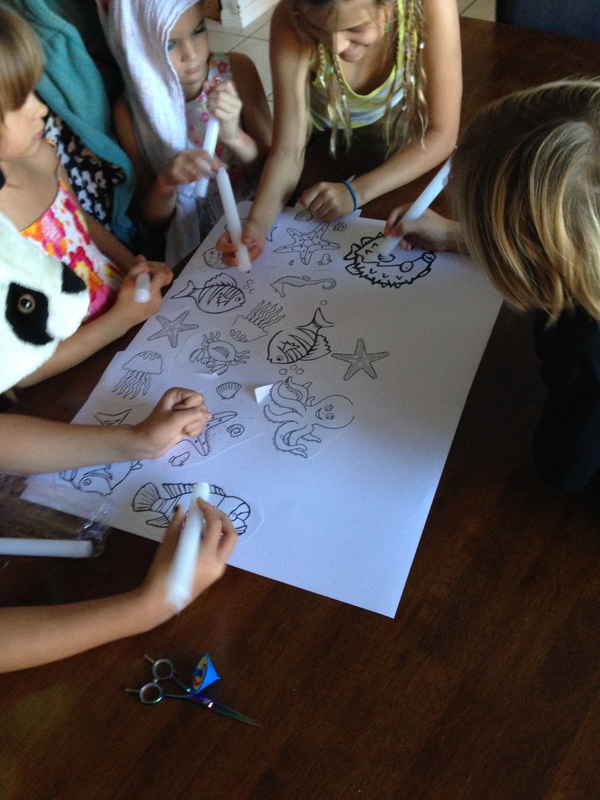 Children become more interested in this kind of art projects. Great idea, well done. Art plays an important role in skill development of child and start with watercolor paints and wax colors is a great and safe idea. 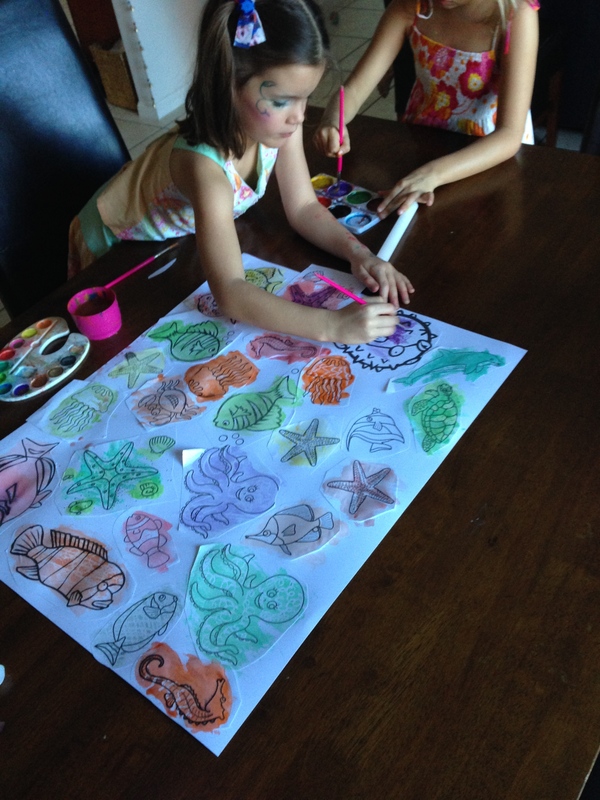 Children become more interested in this kind of art projects. Great idea, well done.